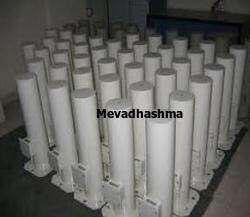 Mevadhashma Offers and supplies Electro Static Precipitator Rapper parts suitable Thermax ESP models. To meet diverse requirements of our valued clients, we are engaged in offering an excellent range of Electrostatic Precipitator Migi Rapping Coil. 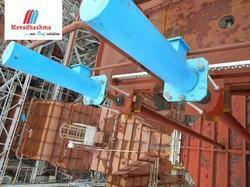 The offered rapping coil is manufactured from the high-grade factor input as per with the industry norms. We offer this rapping coil in a number of specifications so as to meet the demand of customers. Our quality controller inspects this rapping coil on different parameters in order to make certain its performance. Leveraging on our experience, we offer a wide range of ESP Transformer Rectifiers. The offered transformer rectifier is manufactured by using top grade raw material and the highly advanced technology. As well, our clients can avail this transformer rectifier from us in a set of specifications as per their needs. Our transformer rectifier is tested on various parameters so as to ensure its flawlessness. Banking on our accomplished professionals, we are engaged in offering a quality assured array of EMIGI Rapper Coil Assembly. Our given range of assembly is manufactured in adherence with predefined guidelines & advance technology. 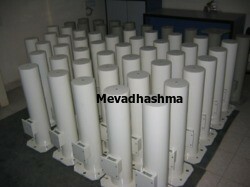 We offered this assembly in different specifications to our customers. This assembly is valued in the industry owing to its optimum quality. Plunger Lift - 0 to 12"
Our organization is highly acknowledged in the market for presenting a wide collection of premium quality Hypalon Boot Seal ESP Thermax. The offered product is manufactured by using top grade raw material and the highly advanced technology. As well, our clients can avail this product from us in a set of specifications as per their needs. Our product is tested on various parameters so as to ensure its flawlessness. To retain our goodwill in clients' consideration, we are presenting an excellent range of Controller ESP Precicon. Provided product is offered in different specifications as per the requirements of clientele. This product is developed with the help of competent workforce using high quality raw material and leading technology. Offered product is high on demand among our patrons due to its indispensable features. 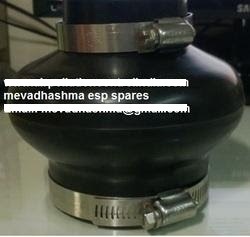 Mevadhashma offer electrostatic precipitator system Migi Rapper Coil 110VDC, 220VDC, 240VDC in Rapper Coil, Rapping Unit with boot seal with clamp.